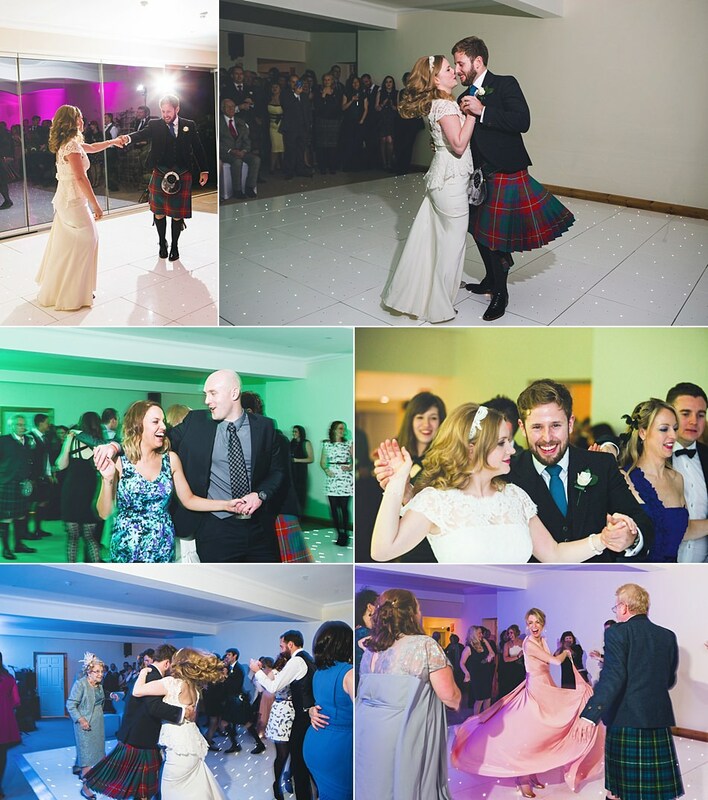 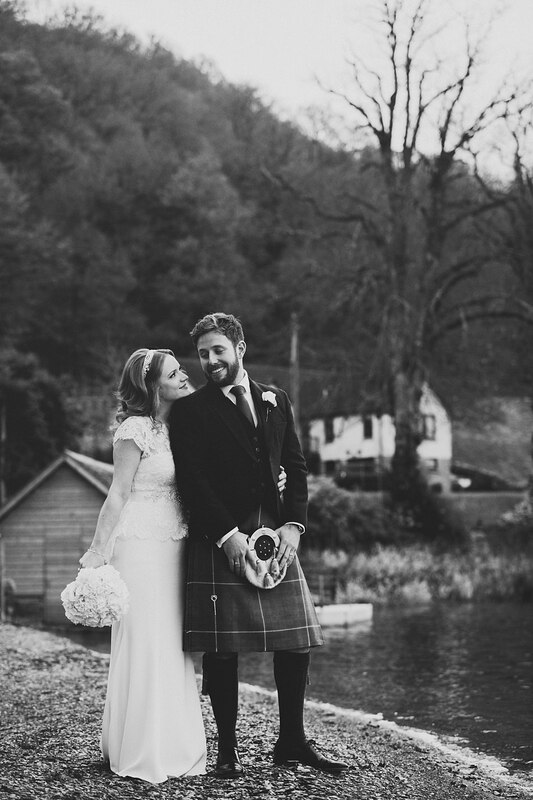 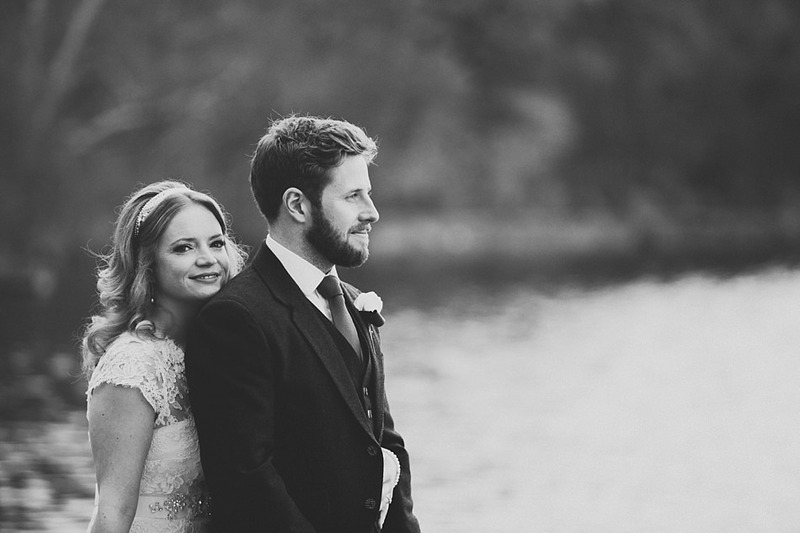 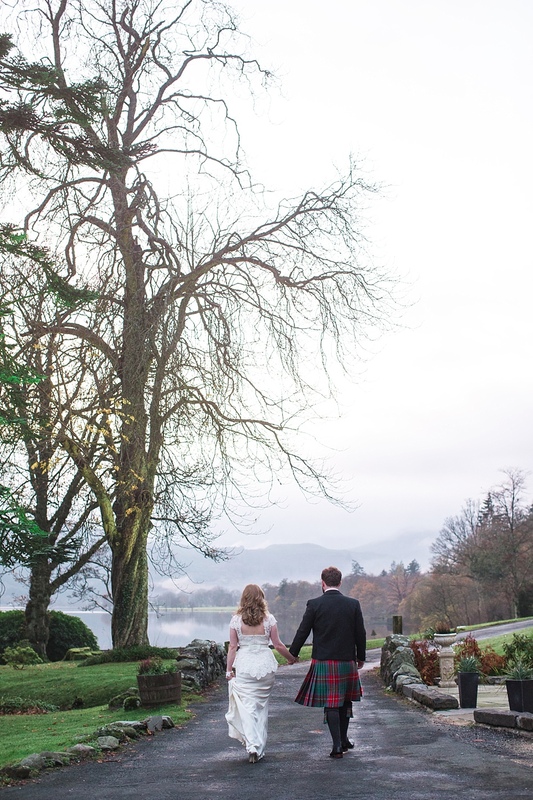 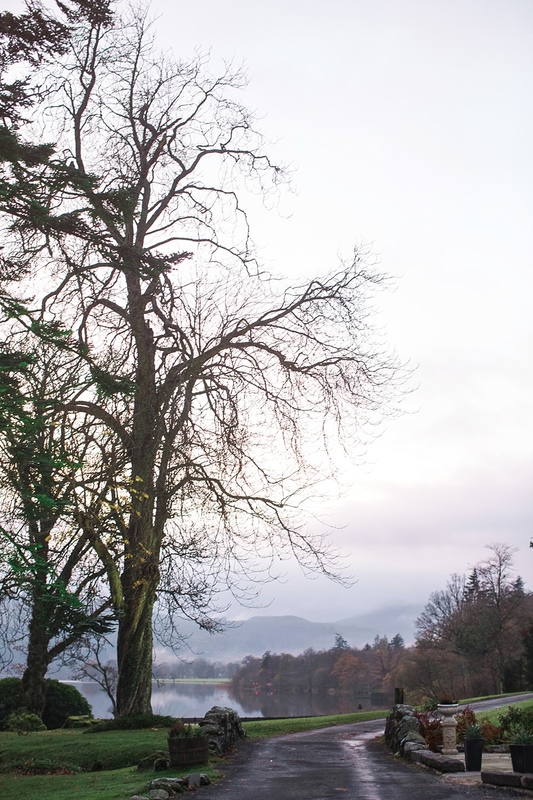 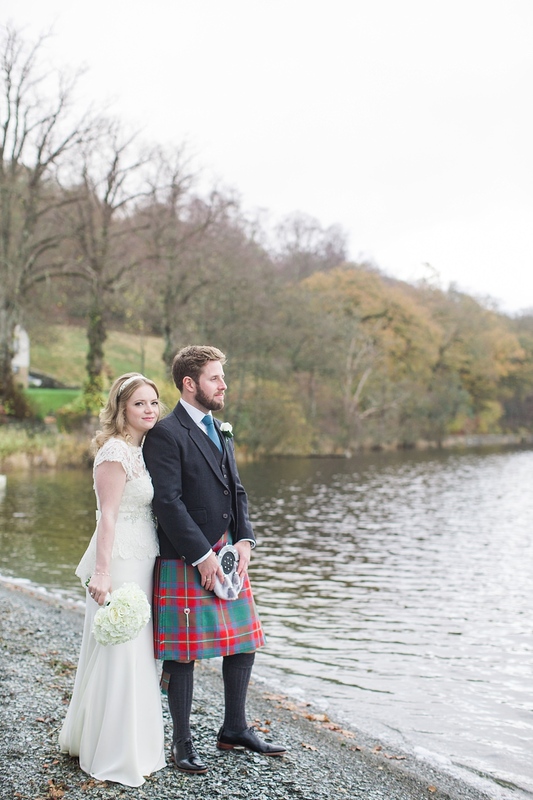 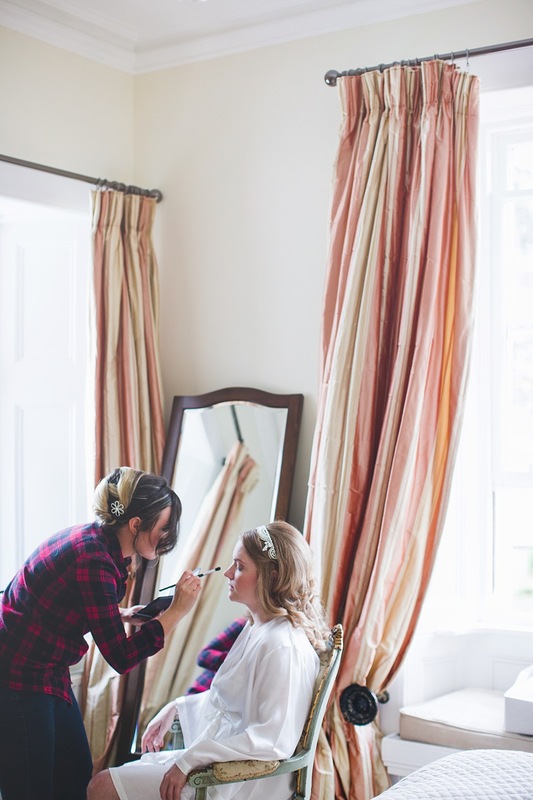 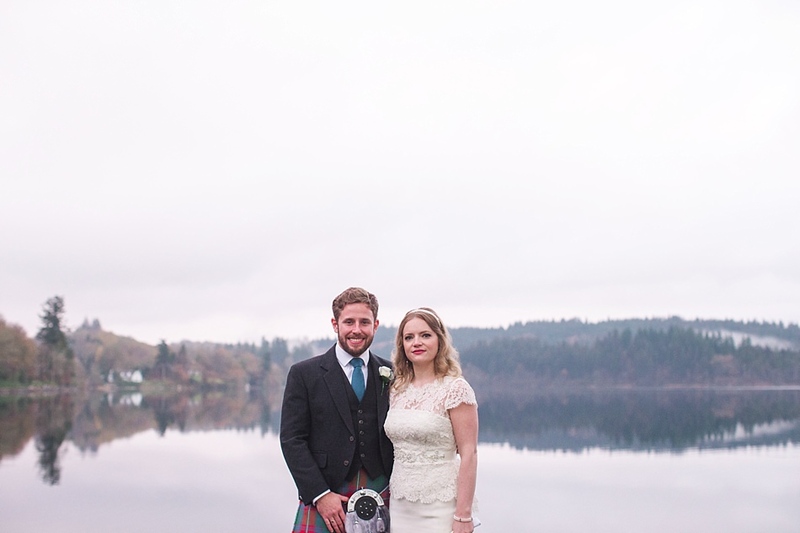 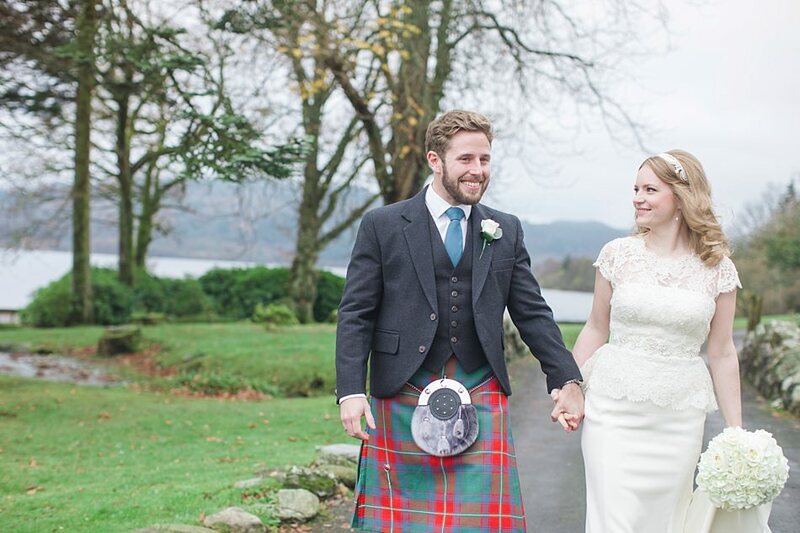 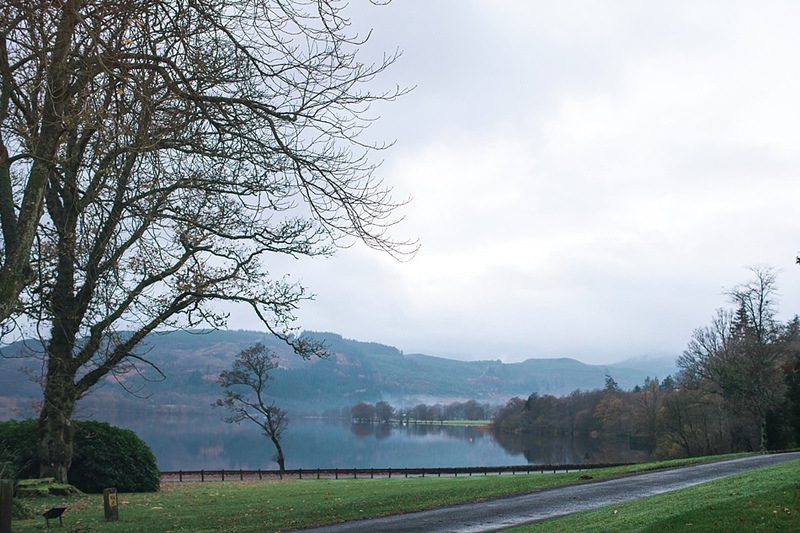 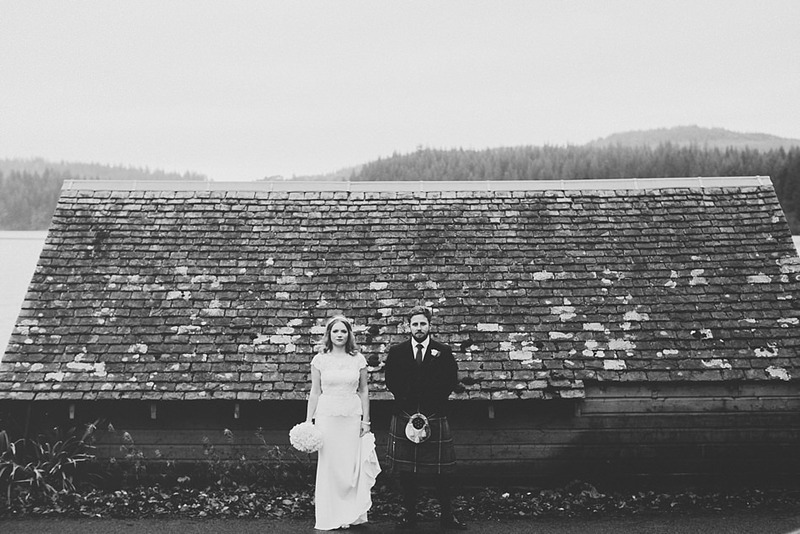 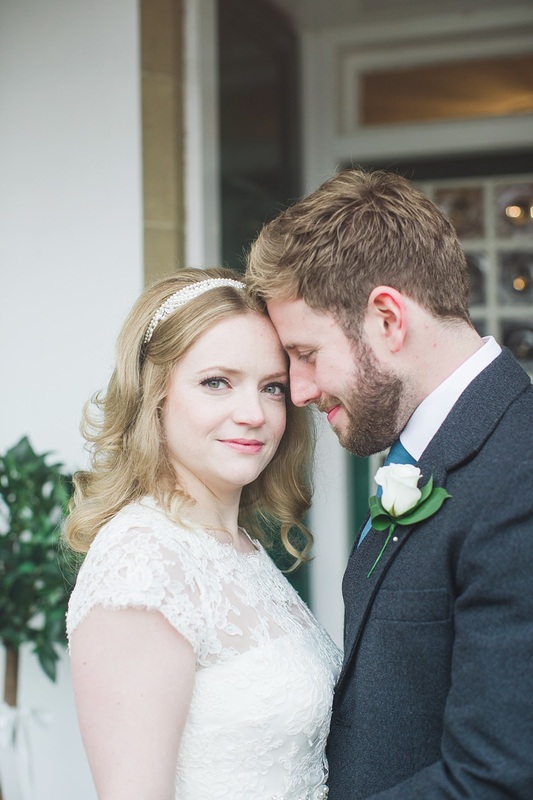 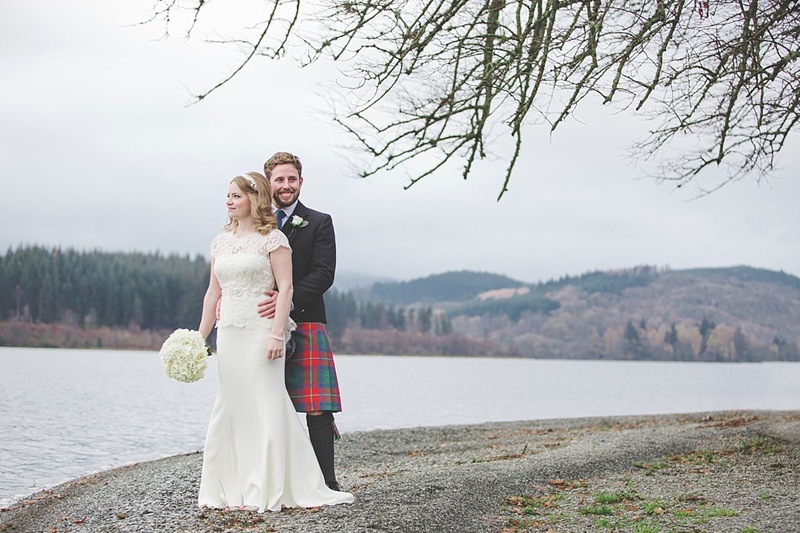 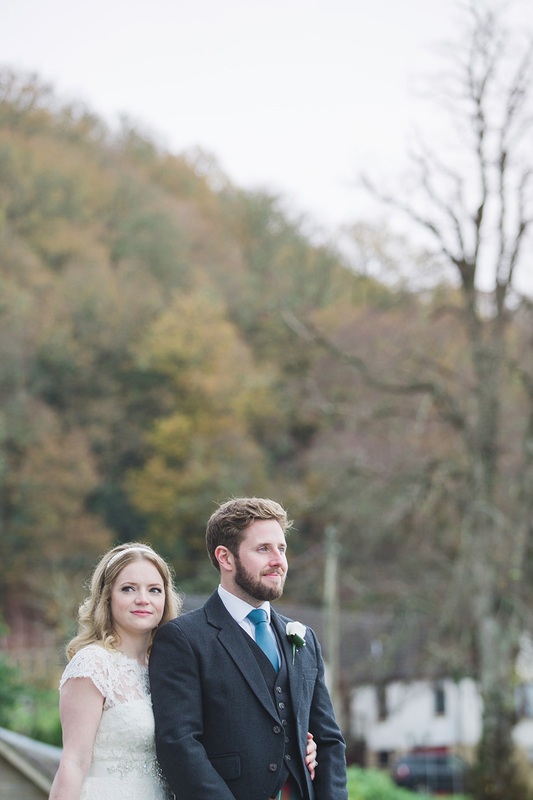 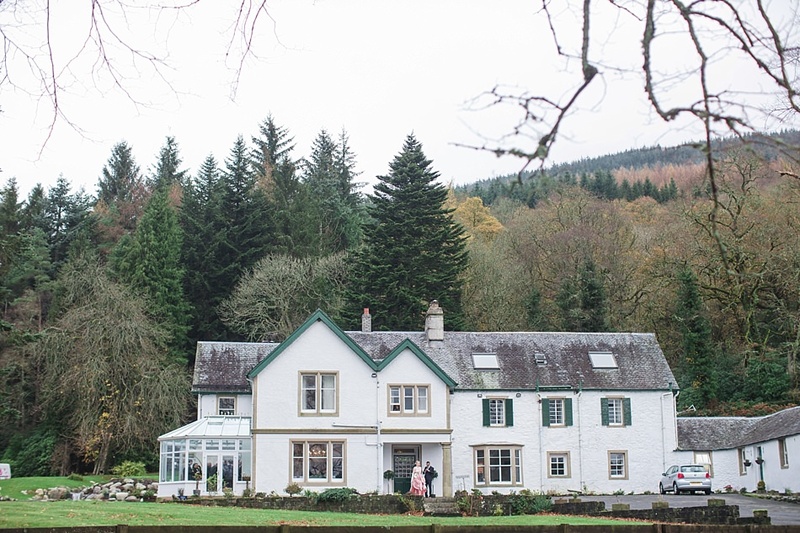 Fiona and James married on a crisp and misty Scottish November’s day at Altskeith House on Loch Ard. 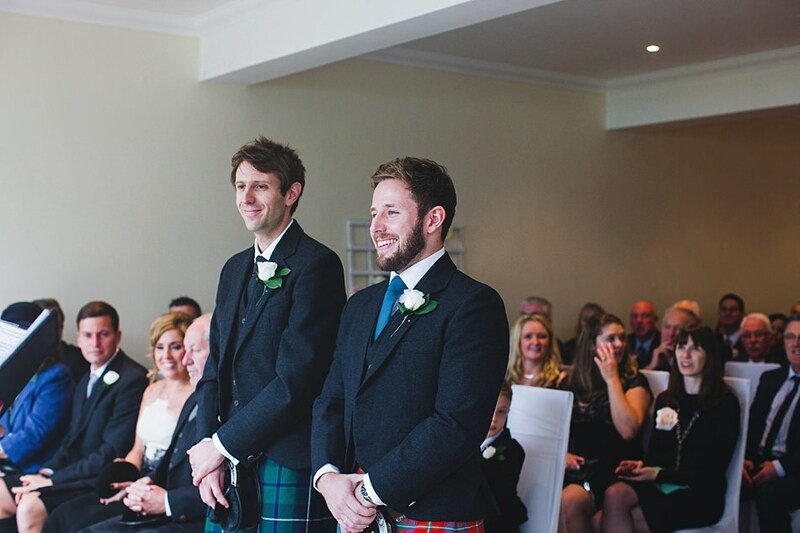 This twosome’s beginnings started at a wedding so this day was definitely anticipated by the couple along with their family and friends. 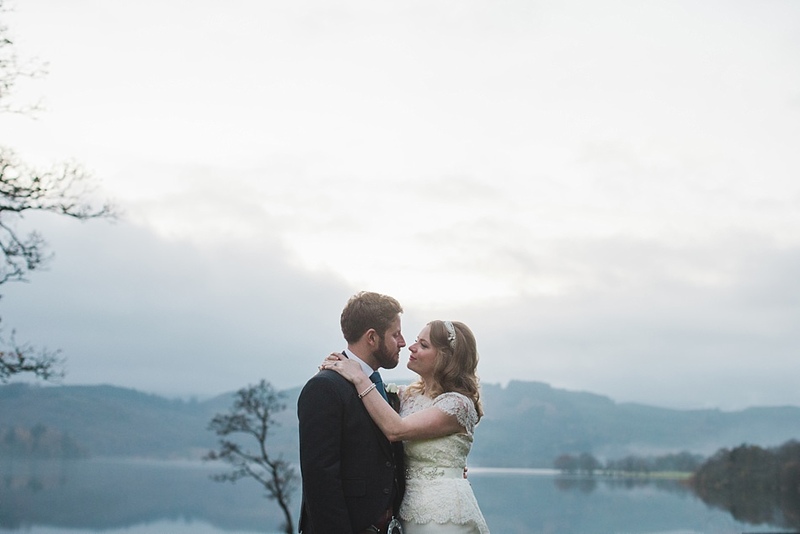 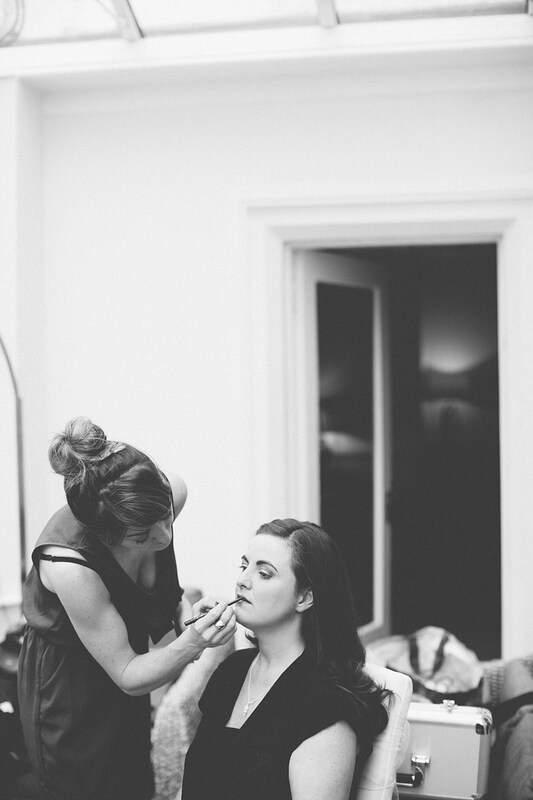 I loved their story which made capturing their wedding day that much more special! 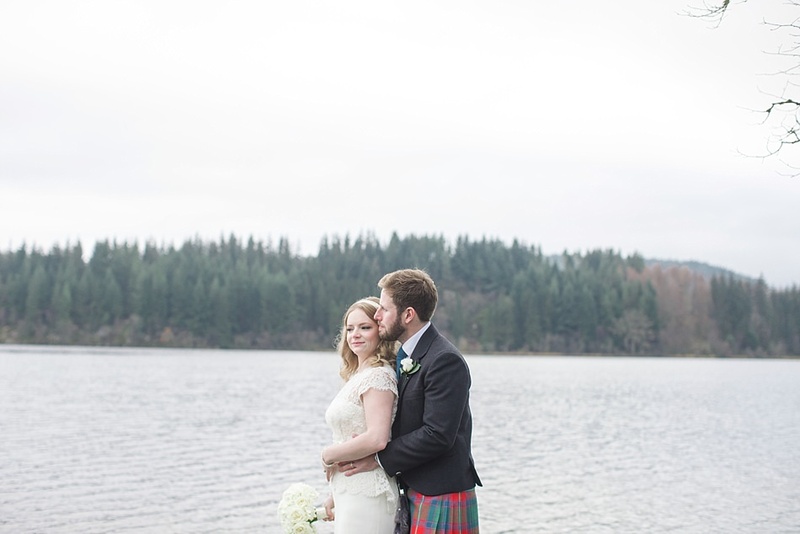 Also perfectly fitting since they both grew up near the water in Scotland. 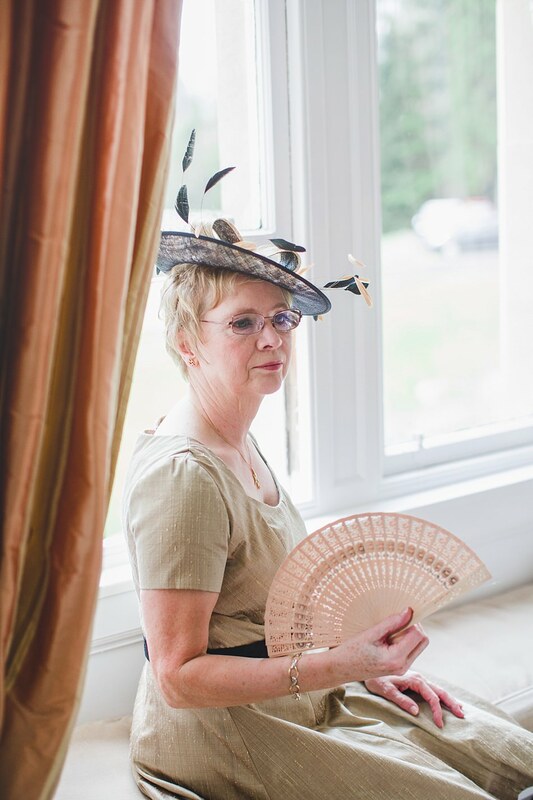 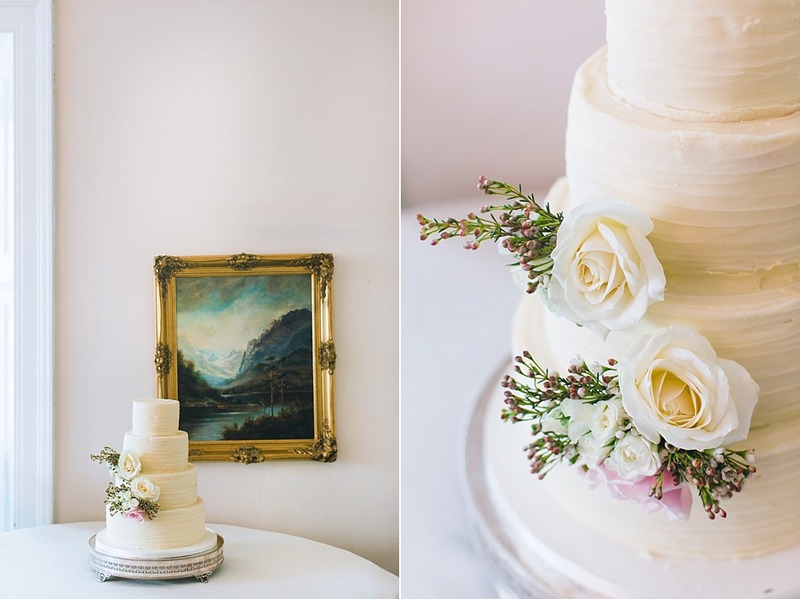 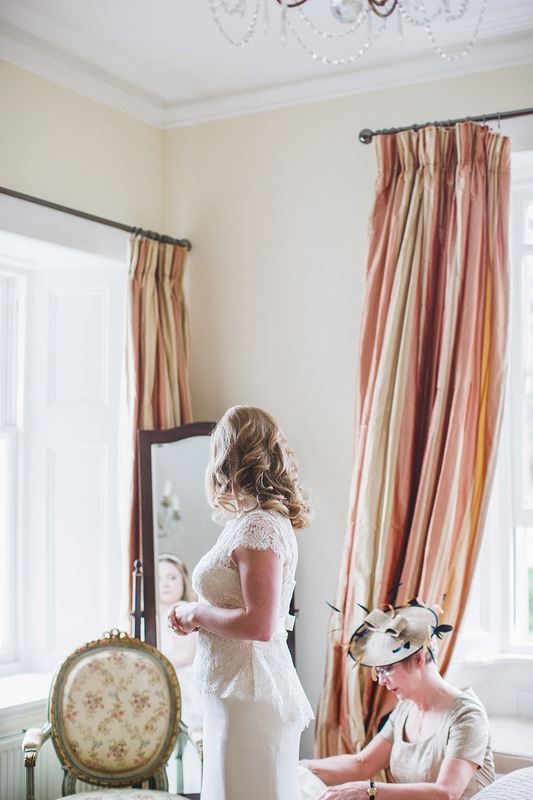 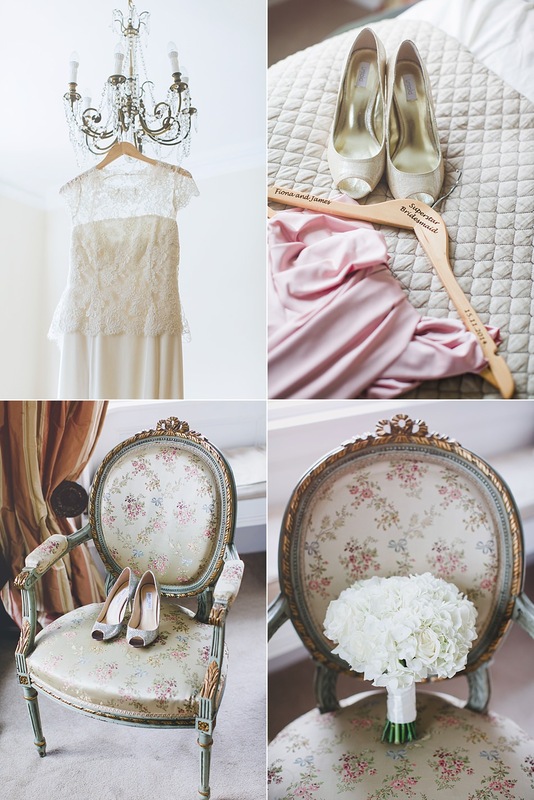 I adored all the details and styling put into making this wedding day what it was. 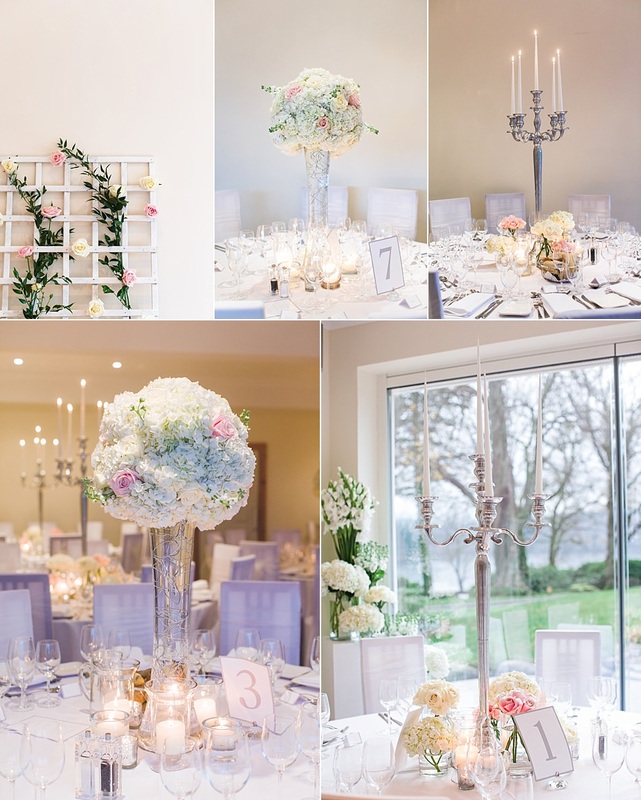 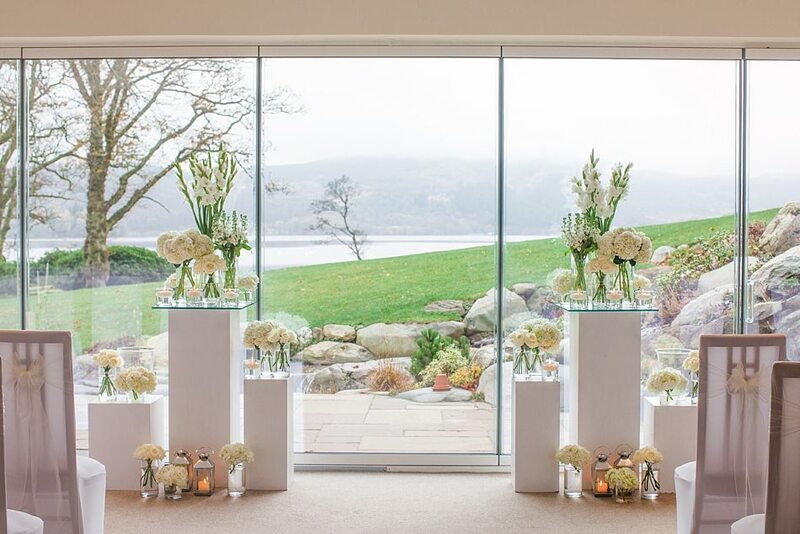 Think classic, romantic, loads of beautiful flower arrangements made by the incredibly talented Mood Flowers, Pearls, Lace and a bit of extravagance in the likes of Fiona’s Jimmy Choo’s! 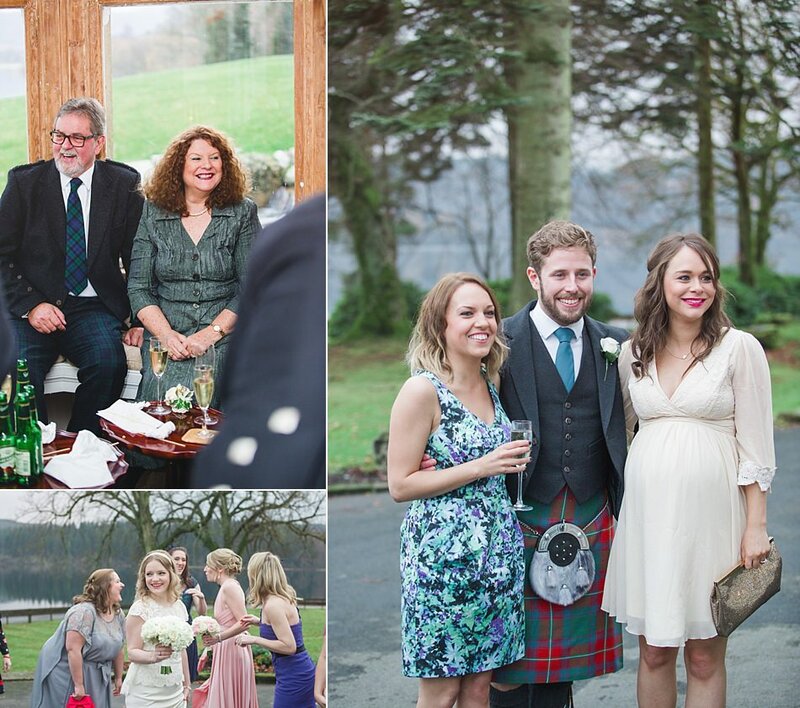 Topped with the loving support and presence of friends and family it truly was a day to remember for them. 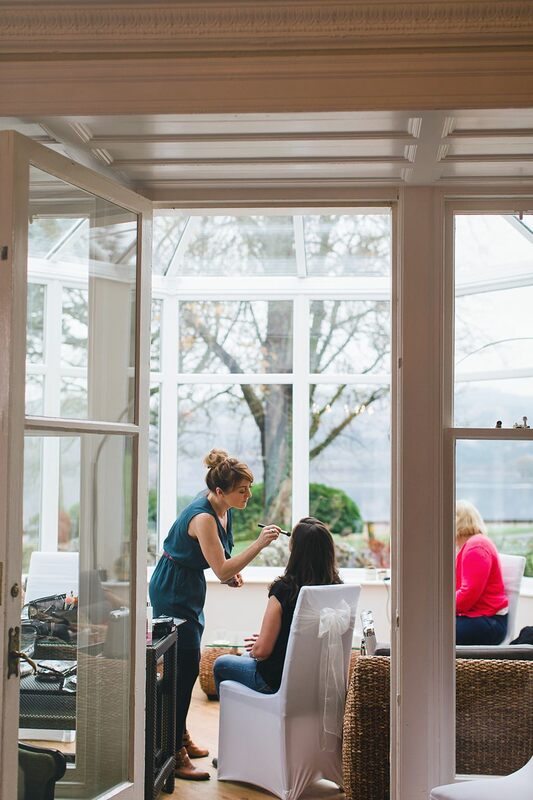 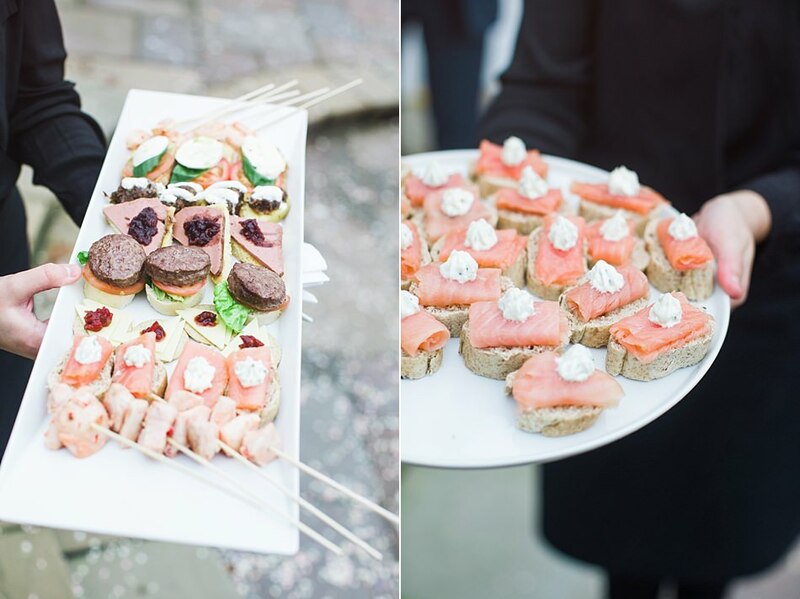 Caterer – Michael at The Old Smiddy, Killin. 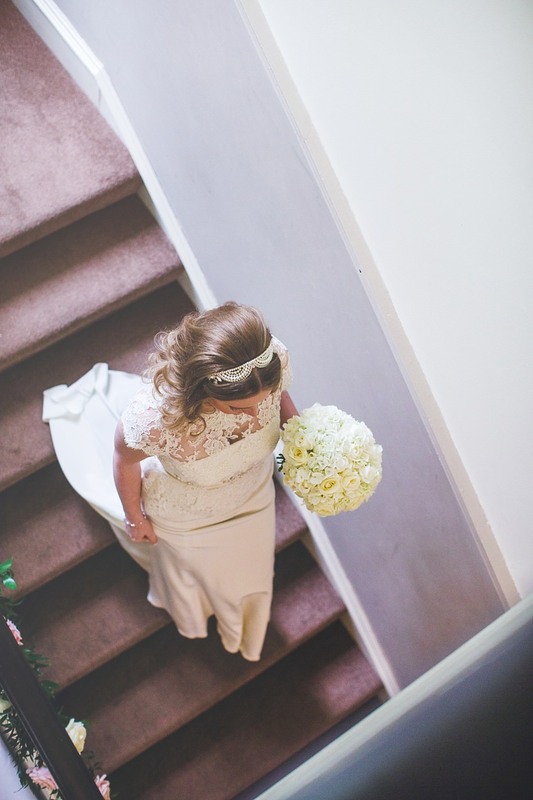 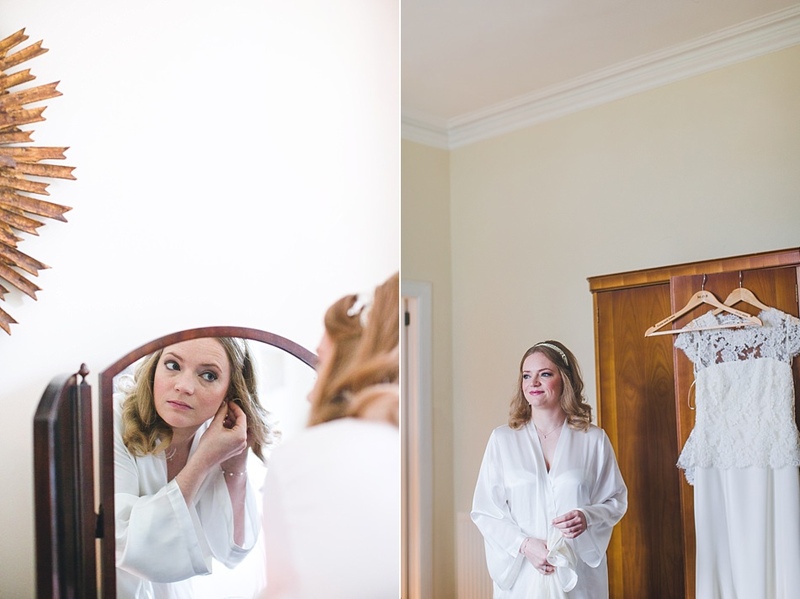 Wedding dress – Fiorella by Elizabeth Stuartt. 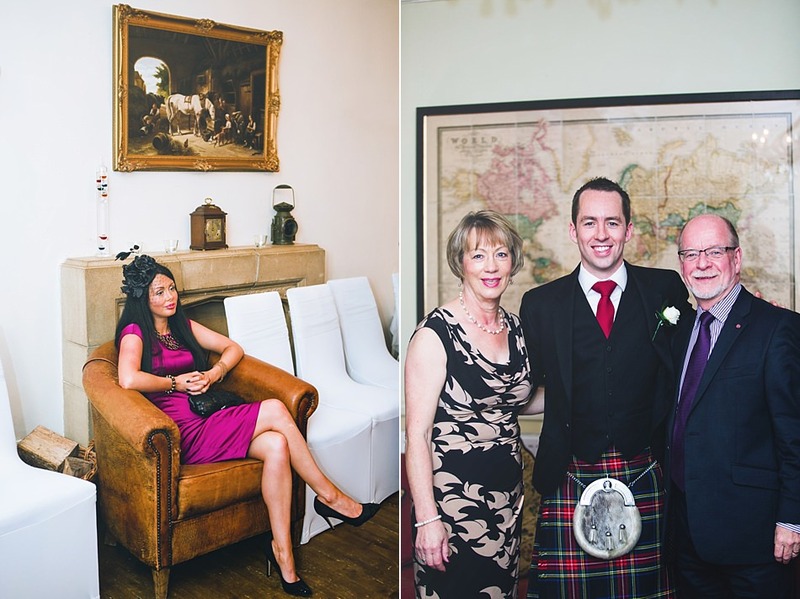 Bought from Unbridaled Boutique, Ayr. 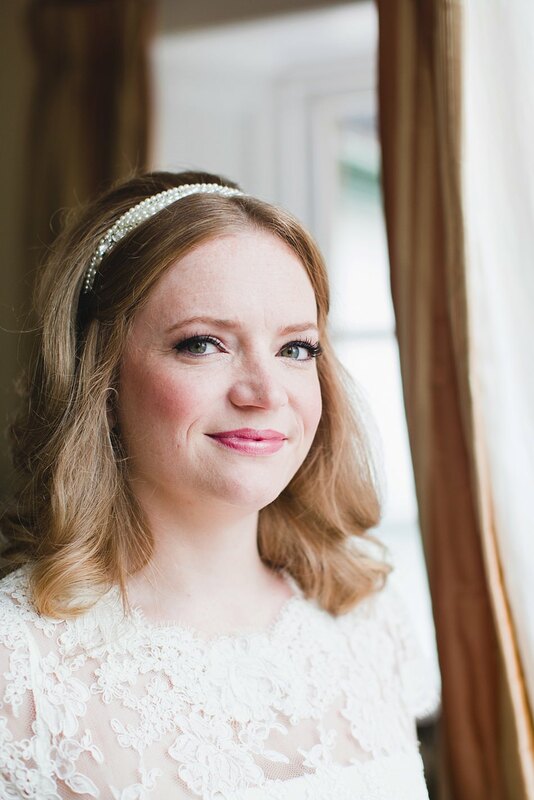 Accessories – Headband by Corrine Smith Design; Jewellery (bridal and wedding rings) by Timothy J Sharp Design; Belt: Fabricated Alterations. 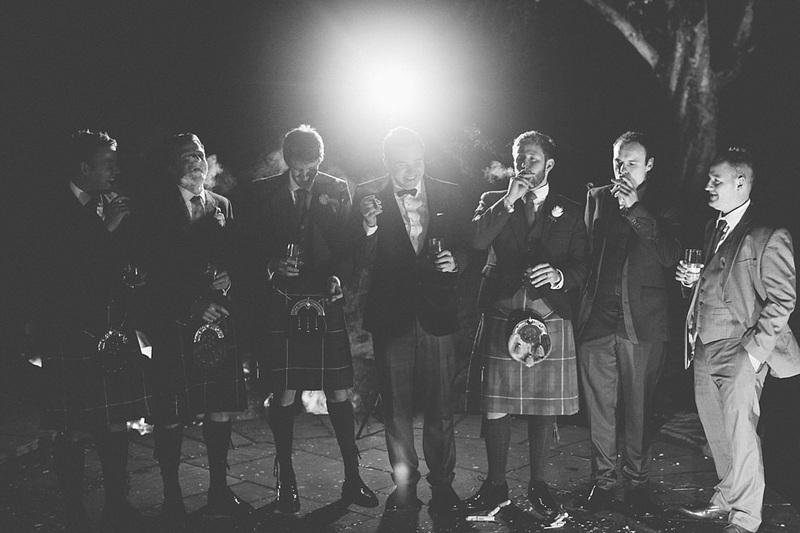 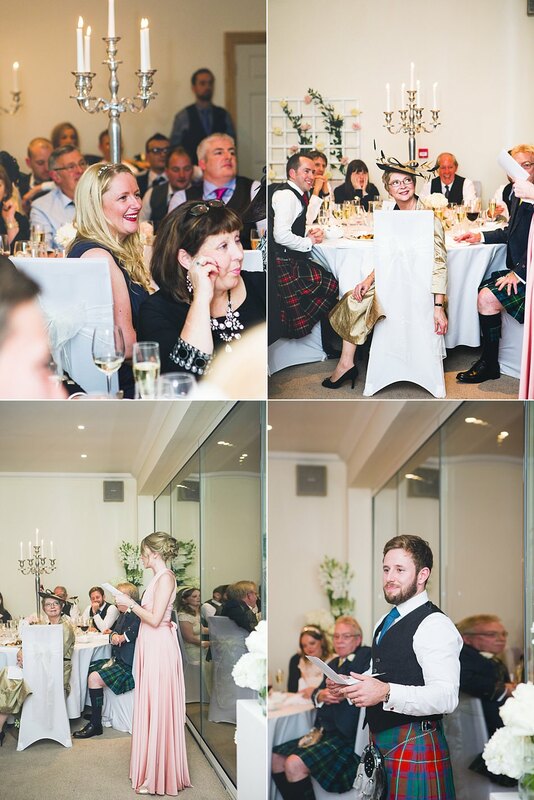 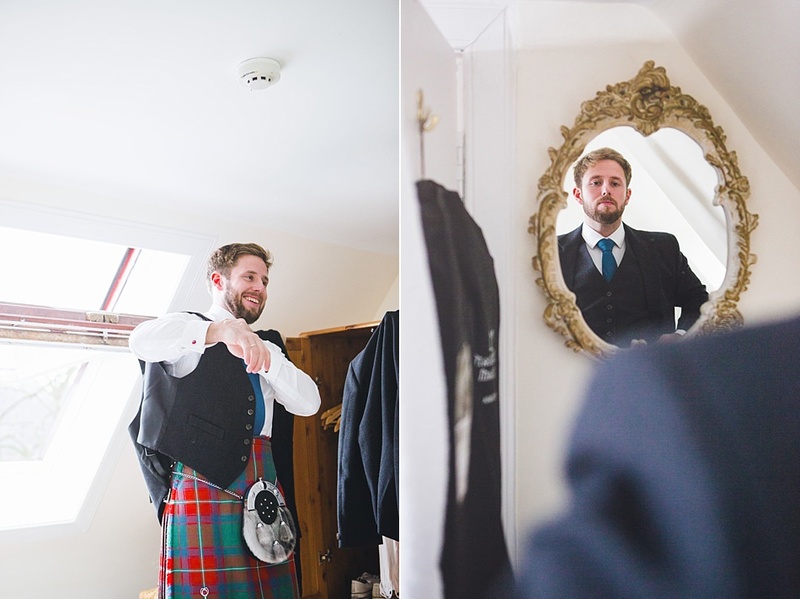 Groom’s outfit – Kilt handmade. 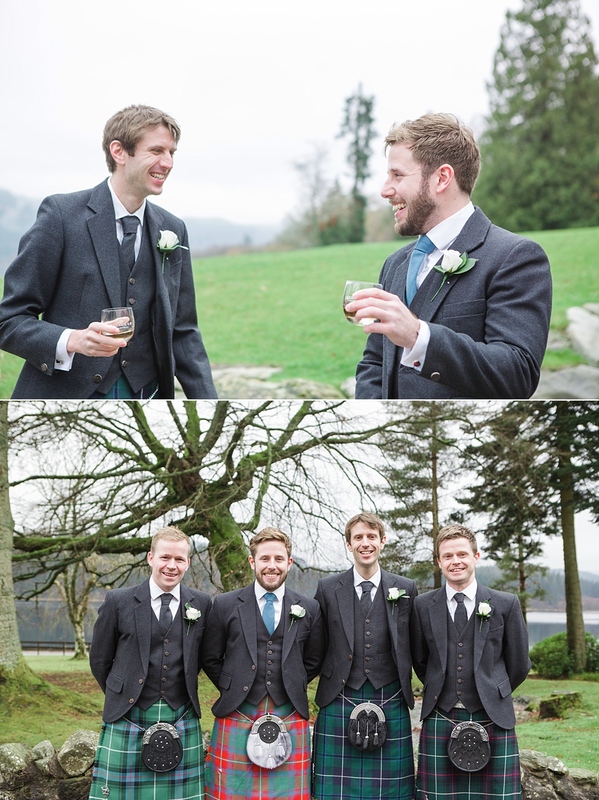 Jacket and waistcoat MacGregor and MacDuff. 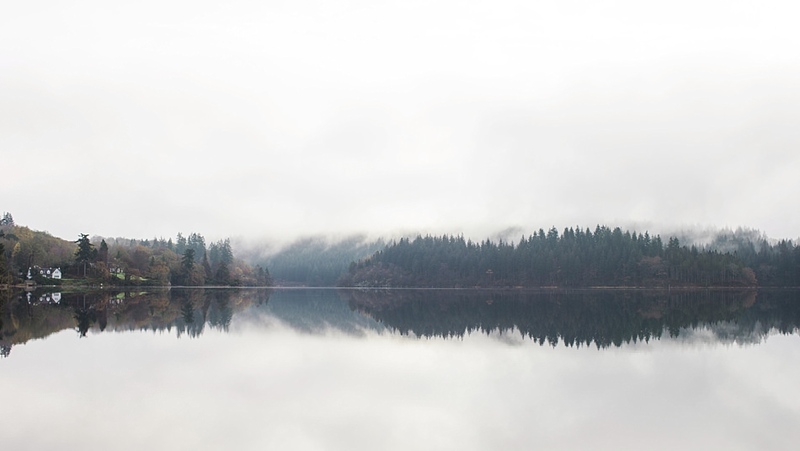 Shoes: Dylan by Grenson.